We often think of time as an external force, as something that continues to move with or without us and with which we have very little in common. But we all exist within and alongside time, keeping it with our own bodies. 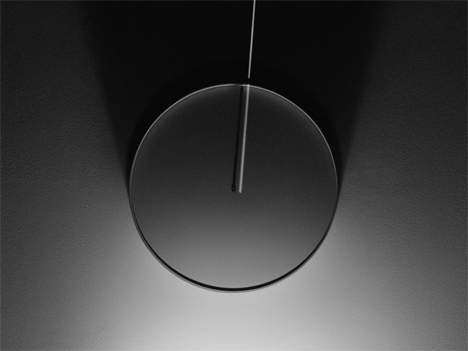 The UJI clock was conceived by designers Ivor Williams, Jonathan Chomko, and Federico Floriani from research group Being and Dying. Instead of ticking away the seconds, minutes, and hours of a day, the clock keeps time with your own heartbeat, making you the center of the world and the marker of time in your own small universe. The clock comes with monitors that attach to the owner’s body. The devices keep track of your heartbeat and vital signs, which are translated into the movement of the minute and hour hands. The hands don’t sweep around the numberless clock face. Rather, they slowly tick back and forth on a small scale, providing a somewhat zen experience as your heartbeat is transformed into a visual measure. 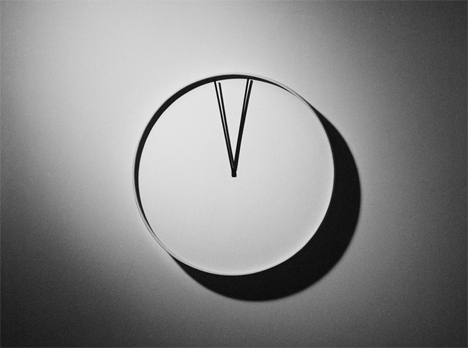 The ceramic UJI wall clock plays on the classic symbol of the wall clock as a reminder that we exist within time. It removes the sense of urgency that comes with counting the minutes and hours between one event and another. The user, then, becomes part of the object and the object part of the user, reminding us what it is like to simple exist in time rather than only passing through it. See more in Clocks & Watches or under Gadgets. May, 2014.